Swain 4-H Family Hike Challenge WINNER! 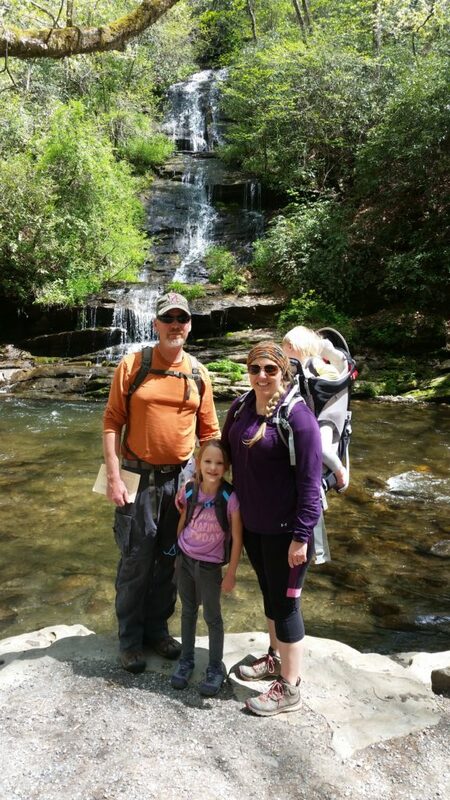 Roger, Brook & Kinleigh Gibbs Favorite Hike Photo! Congratulations to the Gibbs family for being our 4-H Family Hike Challenge Winner!! The challenge was issued to our 4-H families to get outside, exercise together, and have fun while learning. Several families accepted the 2018 Family Hike Challenge, but the Gibbs Family logged the most hike hours and received the most points! Way to go! Monthly hike activities were chosen from the Leopold Education Project. Families had the entire month to find time to go for a hike. Trails that were selected were from varying difficulty located throughout Swain County and the GSMNP. A huge thank you, to all the families that participated. A trophy and a plaque will be awarded to the Gibbs Family for logging the most points this year! The N.C. Cooperative Extension of Swain County will display this favorite hike photo on a plaque in our office. • What New 4-H Clubs Can You Join in 2019?